Is a coffee pod the same thing as a K-cup? No, but we understand your confusion! Technically, a pod is any self-contained unit and K-cup vendors often use the words interchangeably. 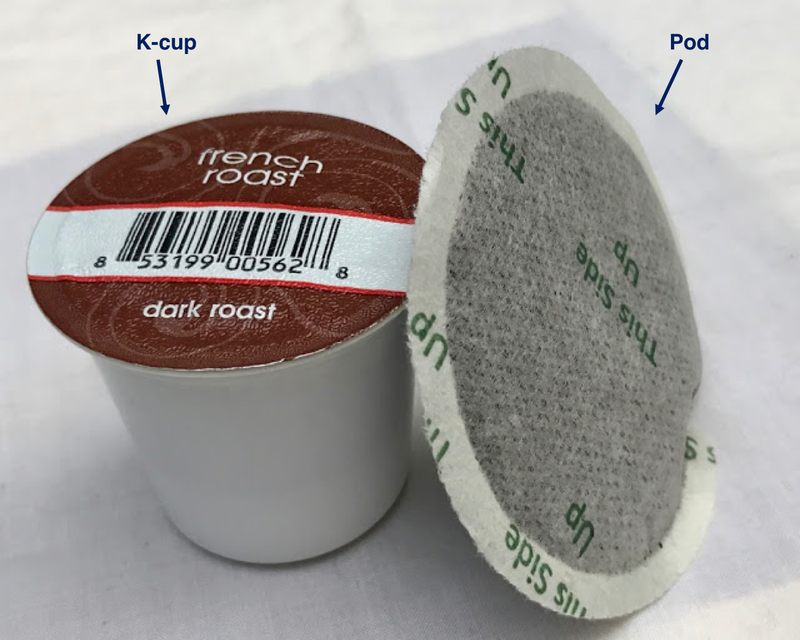 However, when speaking about single serve coffee options, the pod and the K-cup share little in common – they have different shapes, work in different machines, and have different pricing structures. 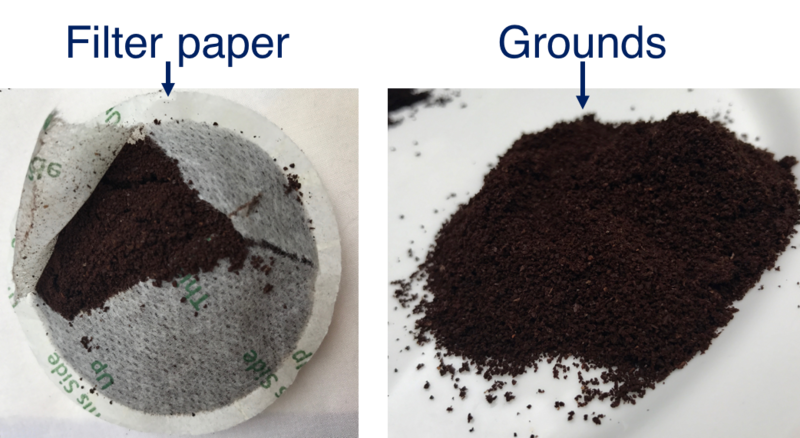 A pod is a pre-measured single serving of packed coffee grounds contained between two rounds of filter paper. Individual pods are generally wrapped in an aluminum envelope to preserve their freshness. This aluminum packaging is discarded before the pod is placed into the brewing device. Once placed in the brewing device, which may be a traditional pod machine, espresso machine, or portafilter, coffee is “brewed” by forcing hot pressurized water through the pod. The full, flat surface of the pod allows for maximum extraction, making a very flavorful cup. Pods are also used to make cold brew coffee. For a cold brew, pods are steeped in cool water for a minimum of ten hours. To learn more about cold brewing with pods, click here. Another great plus for pods – they are fully biodegradable. A K-cup is a pre-measured single serving of grounds placed in a filter-lined plastic cartridge and sealed with plastic and foil. K-cups must be brewed in a K-cup machine, the most common being the Keurig machine. Once placed in the brewing device, needles puncture both ends of the K-cup and hot pressurized water is passed through the cup to brew coffee. K-cups are made of a BPA-free, food-grade plastic but if you drink multiple K-cup coffees per day, you may want to invest in a reusable K-cup. With reusable K-cups, the water used to brew coffee runs through a higher grade hard plastic rather than foil, plastic wrap, and plastic. If you are a Queen Bean Coffee Company K-cup user and would like a reusable K-cup, please contact us at thequeenbean@thequeenbean.com. Given the materials used, K-cups are more expensive to produce than coffee pods and are not recyclable unless split. Make a homemade latte with your favorite coffee and a hand frother!